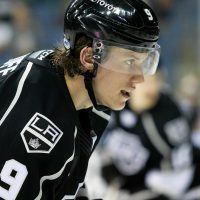 Later tonight in Vancouver, Brown will play his 1,112th regular season game for the LA Kings; moving him past Taylor for the most in franchise history. Because context can sometimes get lost in the written form, let’s be clear – Taylor was just having a little fun. There was no shade being thrown in the direction of No. 23. Actually, it’s quite the opposite. Ask Taylor, a usually quiet and reserved person, about Brown and it’s as if you’re flipping a switch inside the Kings legend. He quickly beams about one of the real diamonds he left behind following a more than 30-year run with the franchise. Part of the famous 2003 Draft class, Brown was originally selected by Taylor and Co. on June 21, 2003. 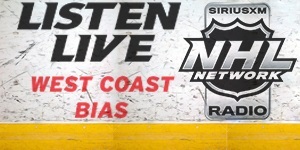 Just a teenager, it was less than four months later when Brown made his NHL debut in Detroit on October 9, 2003. 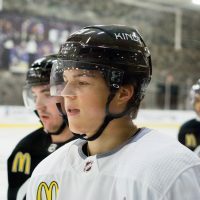 The following month, brought two of what would become many milestones for Brown, with his first point (an assist) coming November 5, 2003 at Florida and then his first NHL goal on November 22, 2003 at Colorado. It ended up being the only goal he scored that season, as a high ankle sprain limited his campaign to just 31 games played. Even with that time lost, looking at the math of things – this is a record Brown could have easily passed quite some time ago. Not just because he also missed the first 10 games of the 2018-19 season with a hand injury, but more so because of all the games cancelled over two NHL Lockouts during Brown’s playing career. That being said, the 2004 Lockout may have in fact actually aided in Brown’s ultimate development as a player. During that season, he spent time in the AHL playing under Manchester coach Bruce Boudreau. 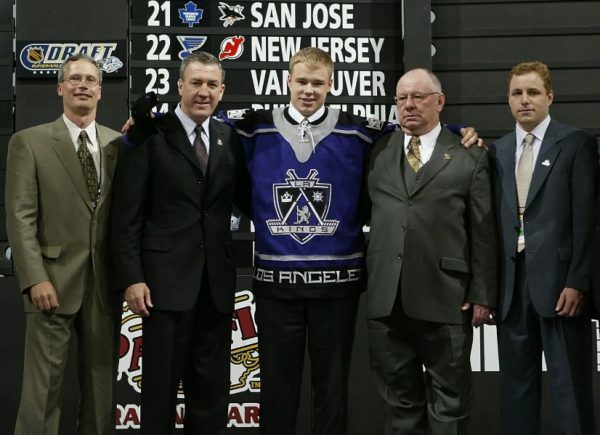 Brown was one of five Monarchs to make the AHL All Star team that year and he finished up his lone professional season in the minor leagues posting 74 points (29G, 45A) in 79 games. A few days ago in Edmonton, the night Brown tied Taylor’s mark, he also scored his 20th goal of the season. That’s now seven times in the versatile winger’s NHL career where he’s notched at least 20 goals in a season. 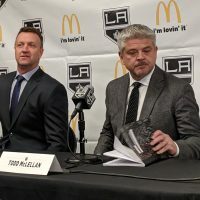 Even during what’s been a tempestuous season for the Kings, like Taylor before him, Brown has been one of few steady influences for the organization – both on and off the ice. 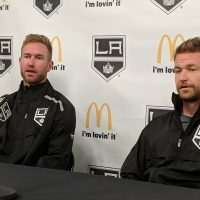 And with a few more years remaining on his contract, Brown will be counted on to help bridge the franchise from their glory years of 2012-14 into what should be a largely new roster moving forward. Who knows, perhaps even one of the bright prospects currently in the pipeline — or even one yet to be drafted — will one day surpass what Brown has done for the team. Humble, competitive, and loyal to their core. It seems only fitting that Brown is taking over the record from Taylor.